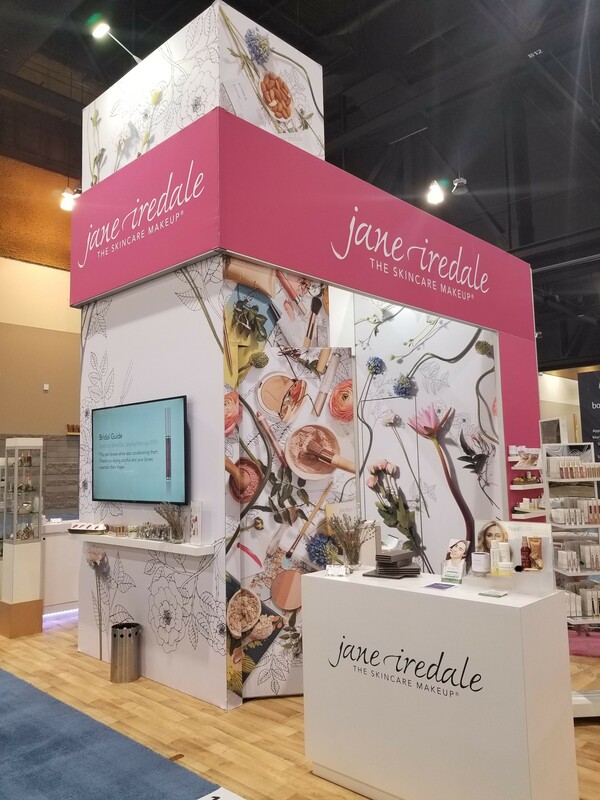 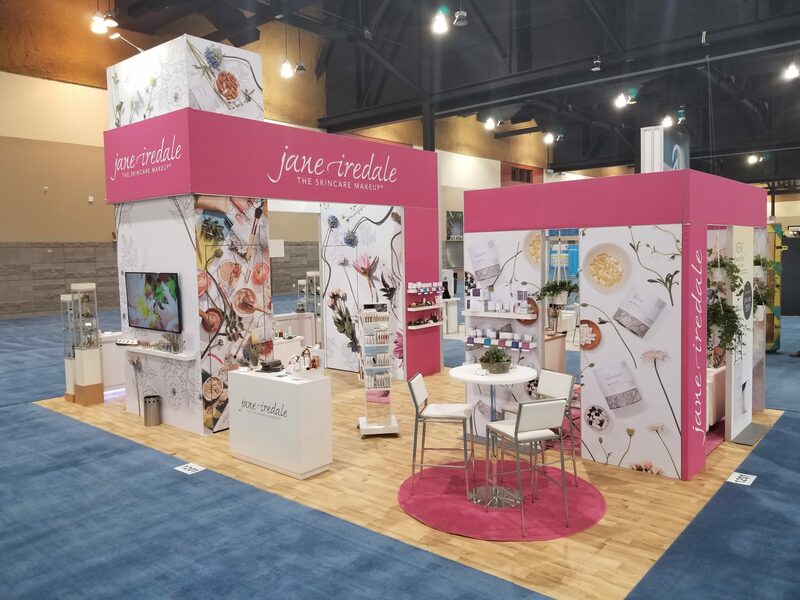 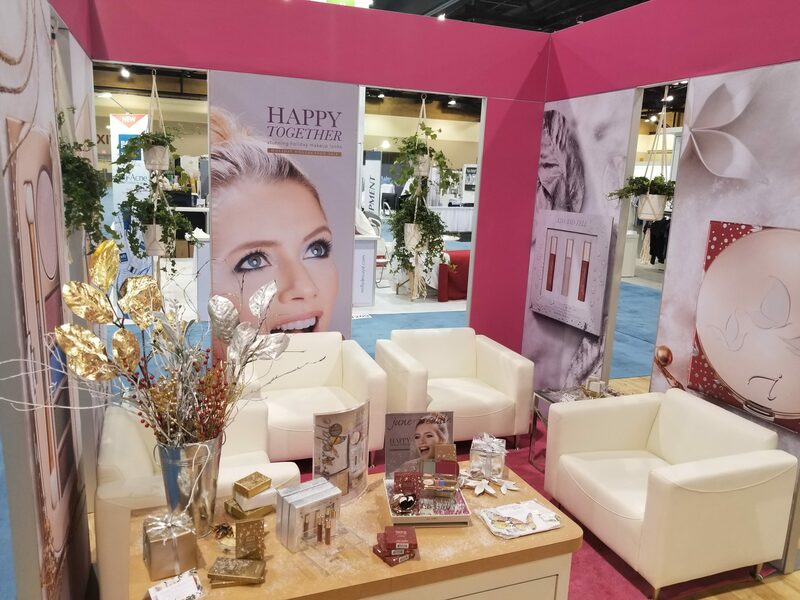 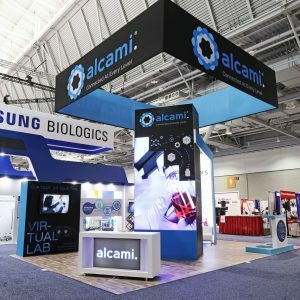 This 20x20 rental exhibit done for Alcami at BIO International in 2018 was a stunning custom/modular rental. 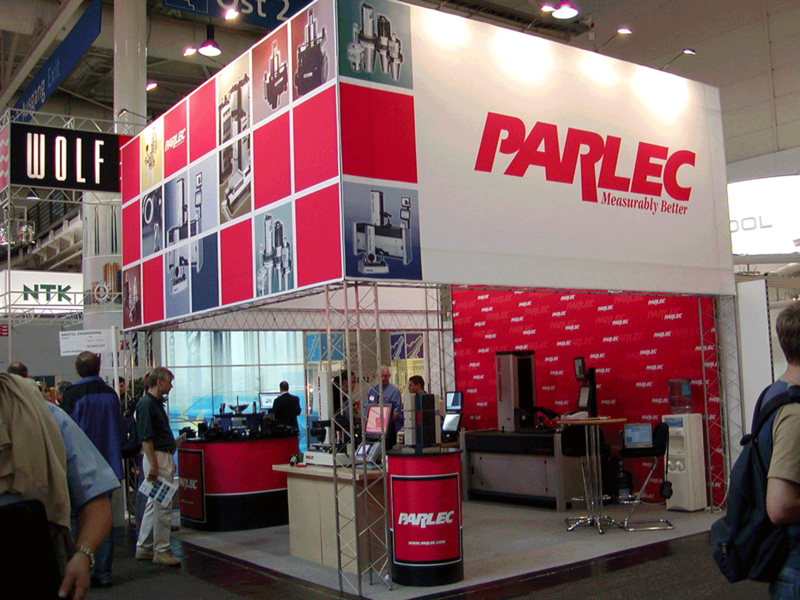 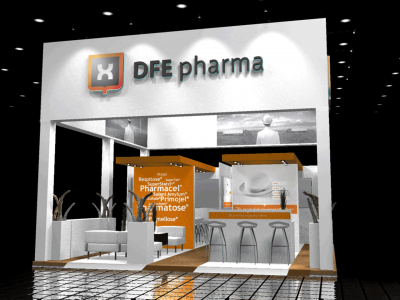 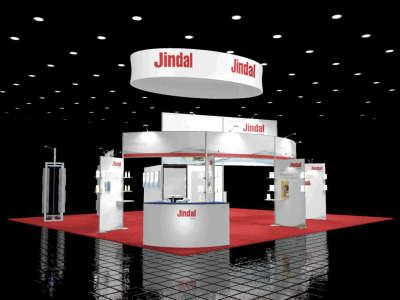 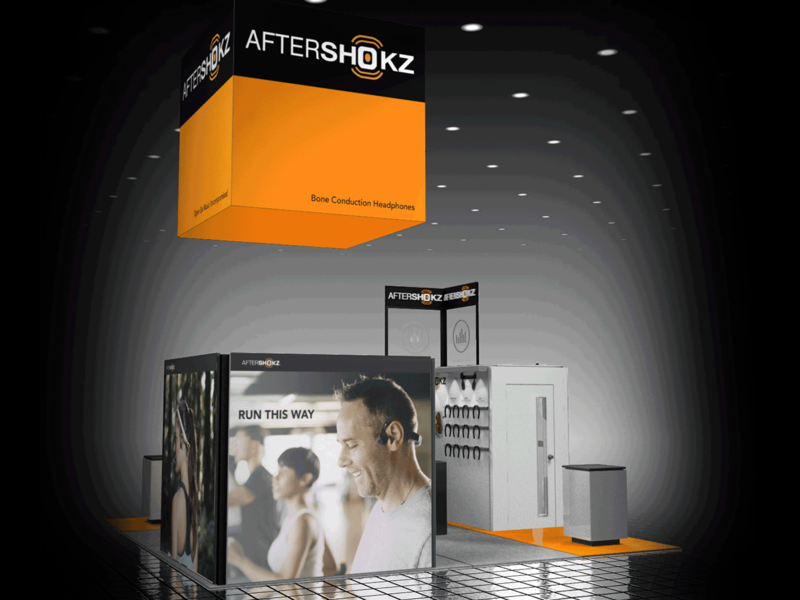 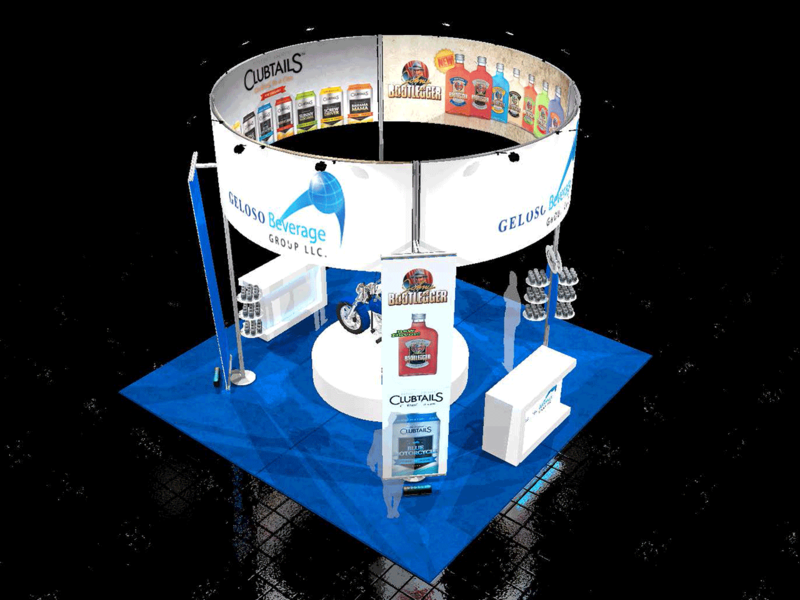 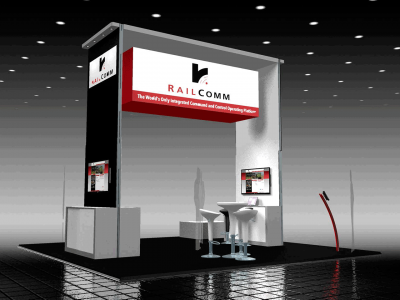 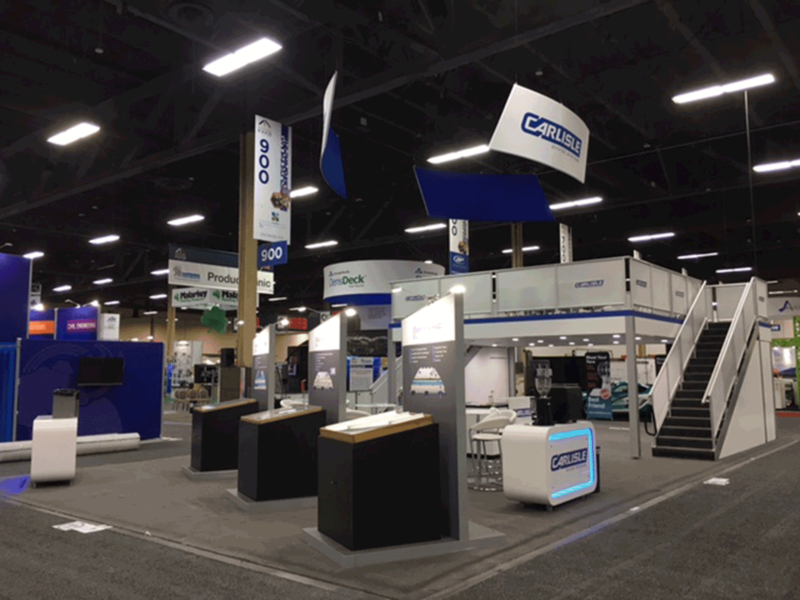 It featured grand format fabric graphics, a large LED video wall, hanging sign and custom flooring. 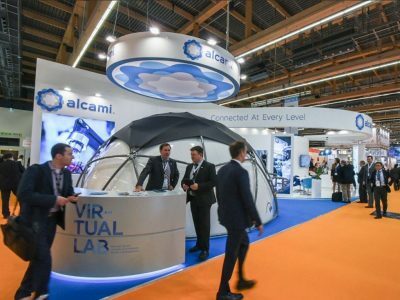 We also included a "virtual lab" station where visitors could use VR Goggles to tour their facilities worldwide in an augmented reality format. 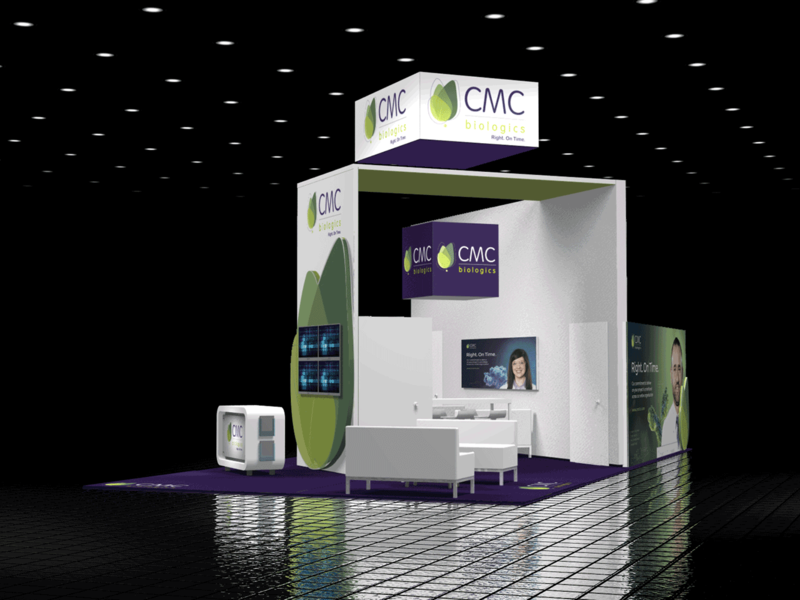 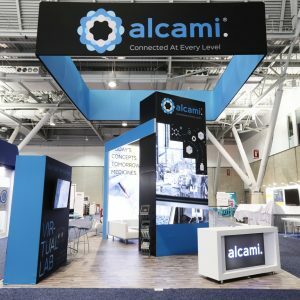 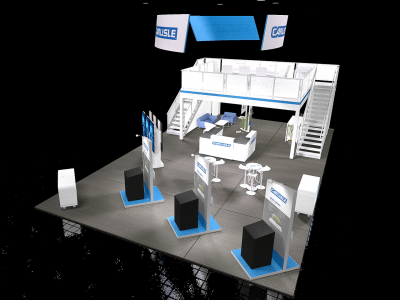 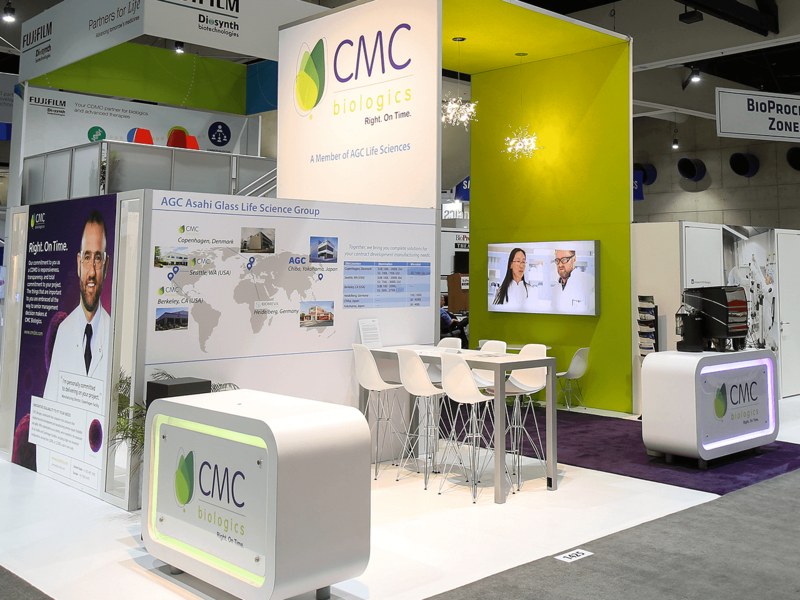 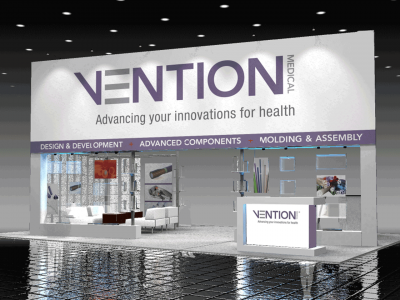 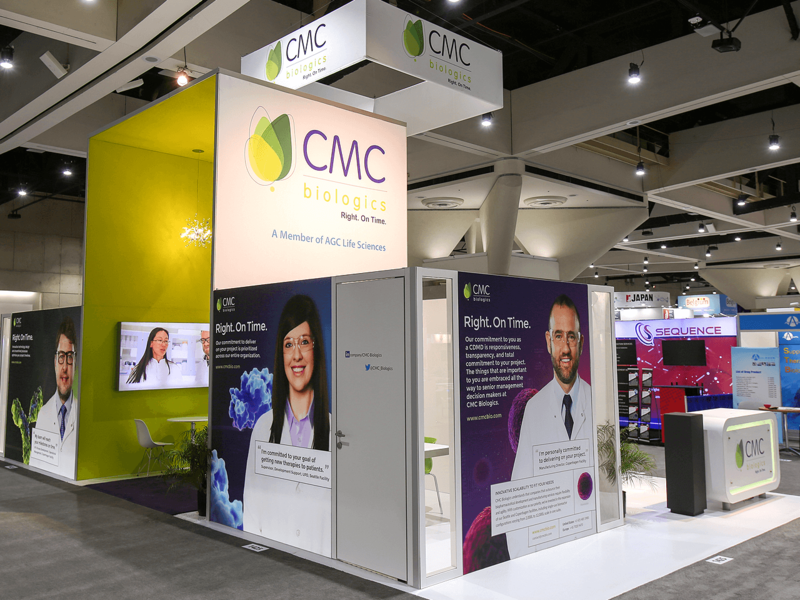 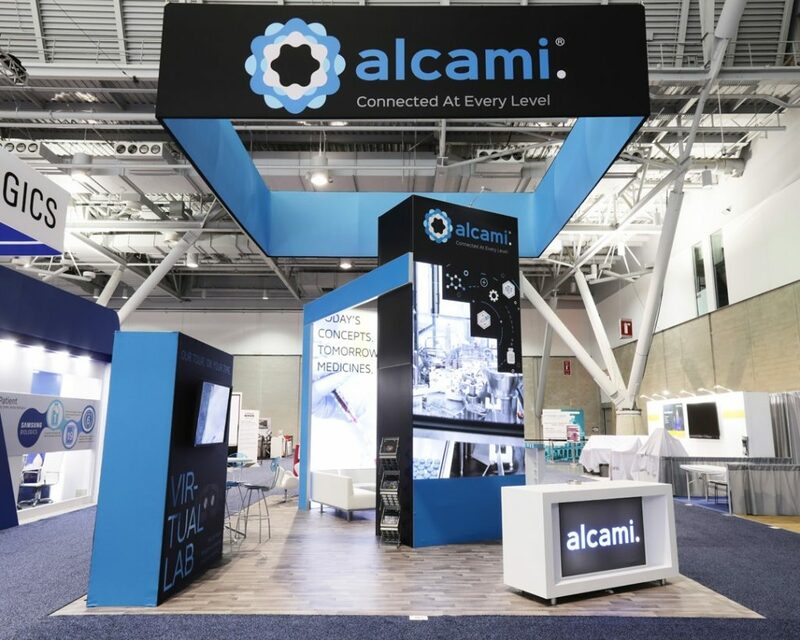 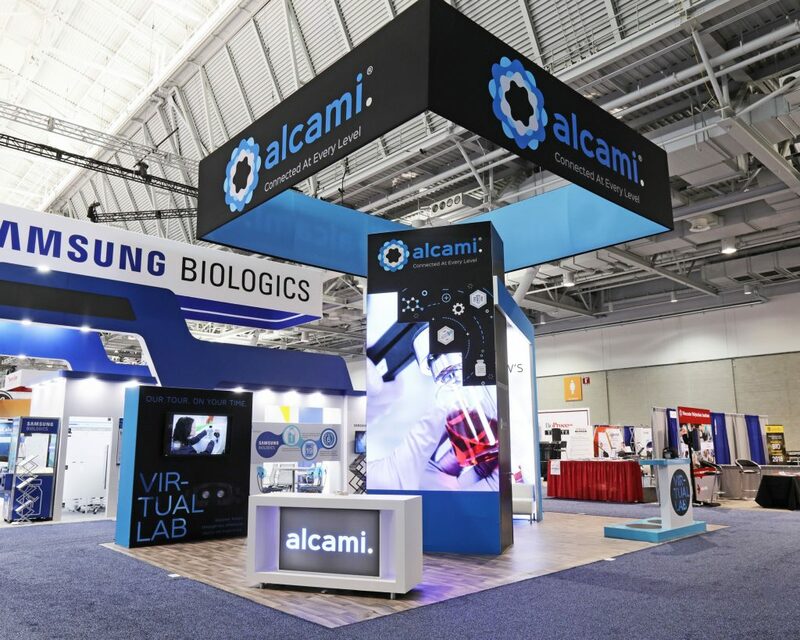 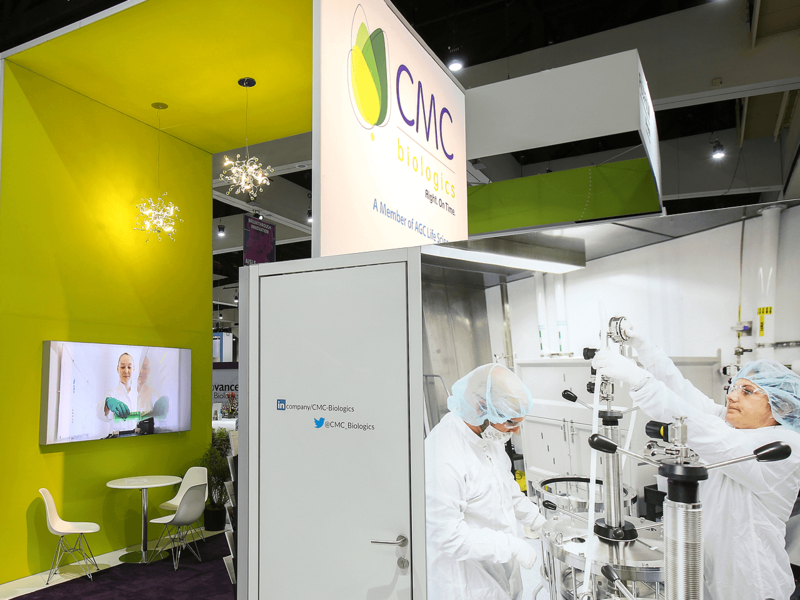 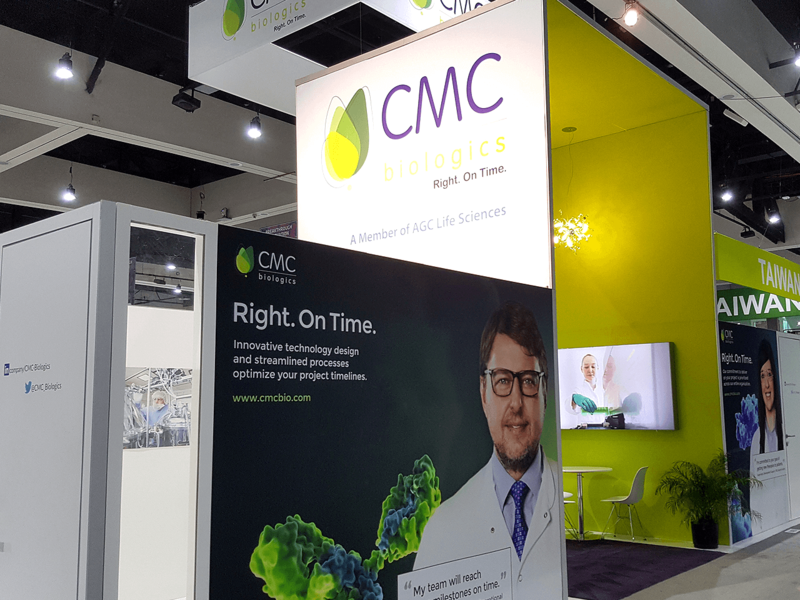 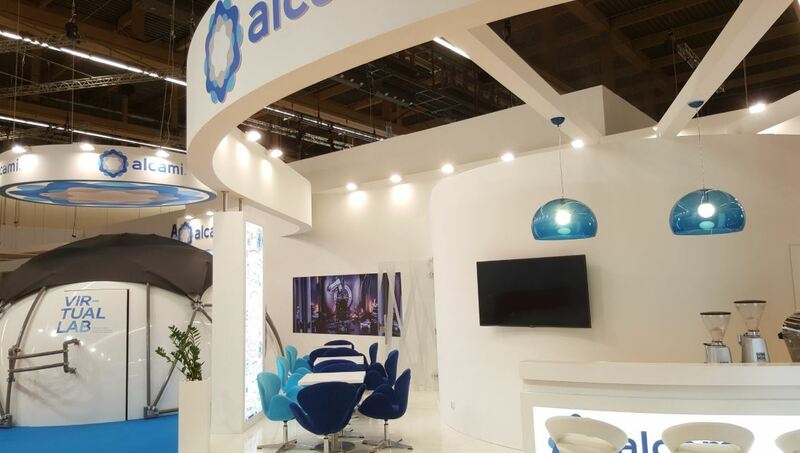 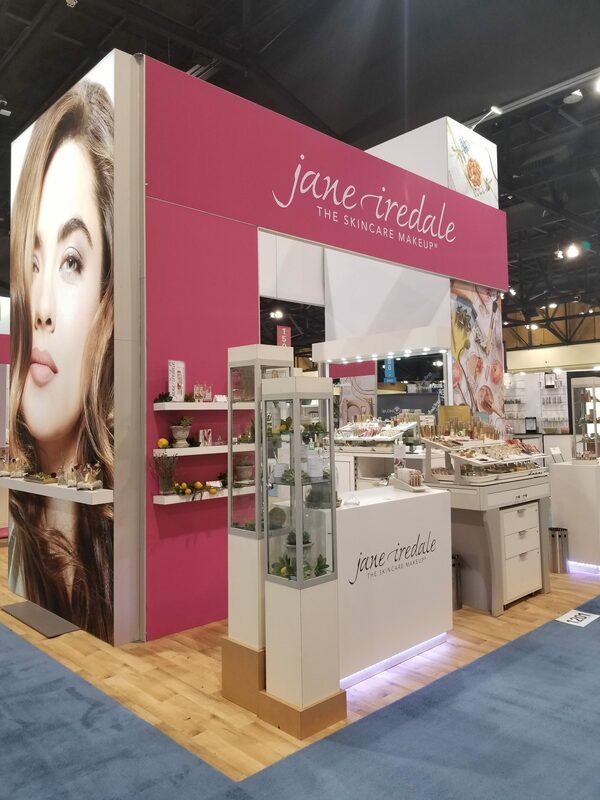 This 20×20 rental exhibit done for Alcami at BIO International in 2018 was a stunning custom/modular rental. 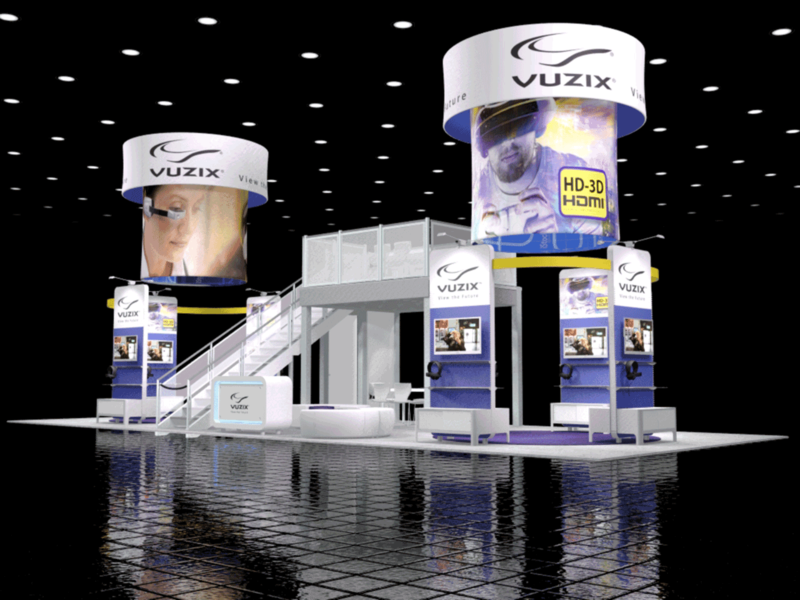 It featured grand format fabric graphics, a large LED video wall, hanging sign and custom flooring. We also included a “virtual lab” station where visitors could use VR Goggles to tour their facilities worldwide in an augmented reality format.